As entrepreneurs, one of the most important things we need in our business is a website. It’s absolutely essential, but with so many options out there for where to host & create your website, in addition to figuring out what design features to use, it can be really daunting. There are lots of different platforms, many places to buy themes, and many more things we need to consider when creating our own website. 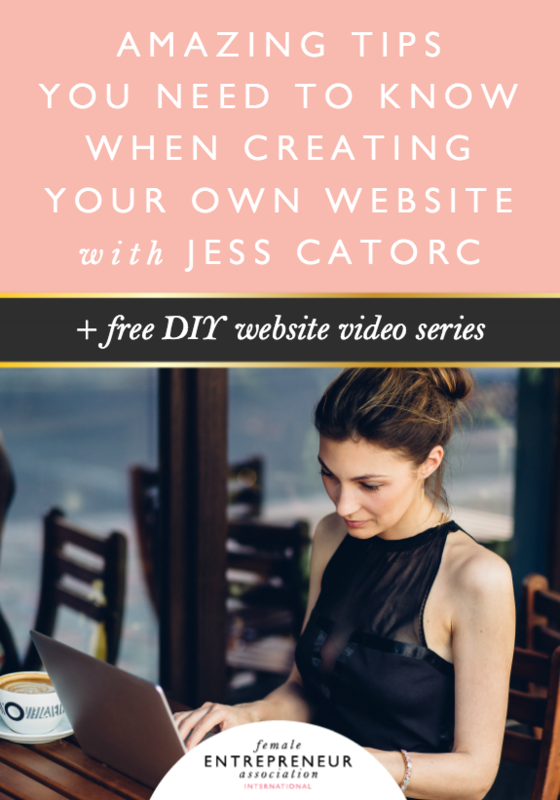 Luckily, this week we have the amazing Jess Catorc, founder of DIY Website Academy, to help put us at ease, because she shares her amazing tips for where to start and what to do next if you’re about to embark on the exciting journey of creating your own DIY website. GIVEAWAY: Make sure you leave a comment below and let us know if you’ve made your own DIY website. 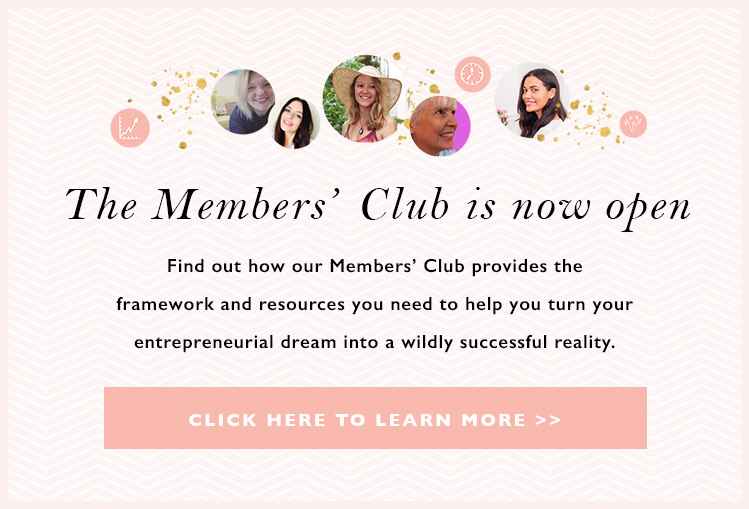 Share your link so we can take a look and share any exciting tips or things you’ve discovered whilst creating your own DIY website, and be in with a chance of winning a 6 month pass to the Members’ Club! 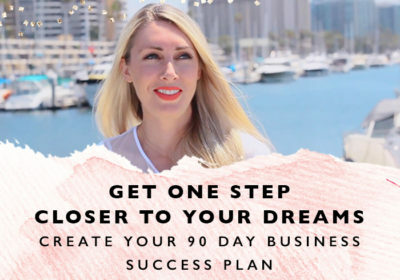 Jess Catorc is the founder of the DIY Website Academy and teaches female entrepreneurs how to create easy and stunning websites for their business. 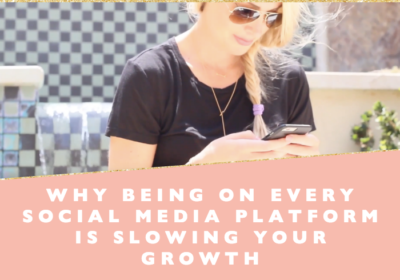 There are so many different platforms out there to host & create your website and there really is no right or wrong answer when it comes to choosing which platform to use. Something worth considering though is: in 5 or 10 years time, what platform do you think you’ll be hosting your website on? One of the reasons that WordPress is so great is because it’s self hosted, you have full control and if you ever want to work with a developer to expand or change your site, it’s something that you can do easily. Other platforms have limited and basic functionality, which might be great if you’re starting out, but chances are a few years down the line you’ll want to be using WordPress, so it’s a great place to start off in the first place. A lot of people have reservations that creating your own website might result in a “DIY feel” but there’s a great way to help combat this. It’s really important not to get drawn in by one particular brand that you love and end up pretty much copying their style, versus having your own unique style. One of the best things to do before you start getting your website built is to create a mood board. It’s great to pull visuals together of how you want your website to look. Start by gathering images of brands you love: photos, logos, fonts, colours, styles etc. It’s also really important to clearly identify your colour schemes so that your website and brand have consistency. There’s a lot of temptation to use lots of different fonts and colours, and ultimately this can lead to your site feeling overwhelming. Try choosing one or two focus colours which will be most prominent on your site, and two or three complimenting colours. The complimenting colours are intended for use throughout, but these are great for highlights, different elements or arrows pointing to different areas of your site. When it comes to fonts, try choosing one main font and one complimenting font. Jess’ favourite websites for beautiful themes: Angie Makes, Restored 316 and Bluechic. It’s so important to make sure you back up your website whenever you make changes or add new content. It’s so easy to do and it means that for whatever reason if your site goes down or you lose your content, you’ve got a back up on hand and can easily get your site back online in a matter of minutes! ManageWP.com is a great site for backing up your website, it’s easy and you can schedule backups on a regular basis. 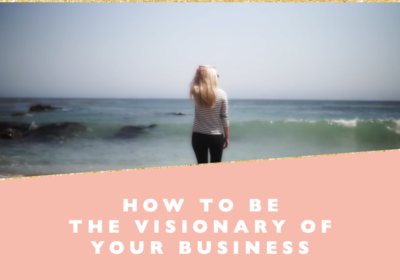 It’s a really easy process and really something that you should get into the habit of. Losing your site and having to start from scratch really is a nightmare, especially when it’s really simple to just back it all up.